Everett's Smoked Fish – We Catch 'Em! Welcome to the Everett Fisheries Experience!! We promise you that our product will go beyond your expectations of any ol’ smoked fish. Everett’s is not only about a quality item, it is about making the customer a part of our heritage. 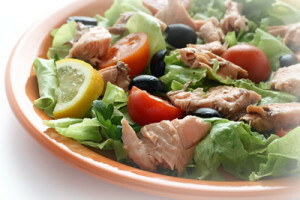 On this website, explore the Everett’s smoked fish product line in accordance with the rich history of family tradition. Everett’s has been commercial fishing on Lake Michigan and Lake Superior since 1889 and processing smoked fish since 1947. You will come to know why Everett’s is the name that fish lover’s always catch. To smoke fish the way it was meant to be smoked. Everett's Smoked Fish. Copyright © 2015. All Rights Reserved.